Today I’m going to talk about how to organize your financial documents and records… Just in case something bad happens to you. You and your family deserve to not worry about your finances. One important way to have peace of mind when it comes to money is to know where all of it is. If others depend on you, then you have an added responsibility: to make sure your loved ones are able to carry on in your absence. Again, simply organizing your documents is an important part of that. I must take a moment and explain why this is a such a hot button with me. My parents died while I was in high-school. My father, the main bread winner, had all our important financial records and documents on the backs of envelopes, in misplaced folders, and in huge stacks and piles scattered throughout his office. In short, at the worst possible time, we were left clueless. Needless to say, that left my siblings and me in an even worse situation than we otherwise would have been. In other words, I know what it’s like when people who are supposed to take responsibility fail to do so. Don’t let this happen to your family. And even if you don’t have any dependents or a spouse, you’ll be far better off simply by organizing your financial documents effectively. True, if you get hit by a bus, it won’t matter… But what if you get hit by a Smart Car? If that happens, you’ll just be incapacitated – though the automobile may be totaled. At the very least, create a spreadsheet. List out all of your important account names and numbers, websites, passwords, etc. Of course, if you just use a regular spreadsheet, you’ll need to take steps to be sure that you data is secure – just make sure it’s doesn’t wind up being inaccessible to your heirs. In addition to critical financial information, create a second tab and include contact information for any important professional in your life – e.g., legal, tax, insurance, and investment advisors. Once you’ve compiled all of this information, make absolutely sure that you update it as your information changes. If you use a piece of paper, it will wind up being a mess and you’ll have to redo it all the time. I highly recommend that you and your spouse become proficient at tracking your spending. Use a budget tracking program and make sure to take turns updating the data. Then, meet each month to discuss if your spending is in line or if you need to make changes. 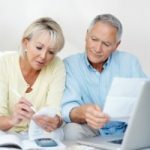 This exercise has tremendous benefits that I’ve discussed before (like helping your spouse spend less money) but for our purposes, this insures that your spouse will be able to take over the budgeting in case you can’t do it. You should also make sure that they understand the value of a high credit score and how to keep theirs intact. 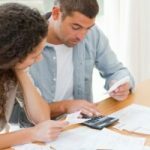 If you’ve been the only one managing the budget, you’re spouse won’t be able to make intelligent decisions about investments or spending when he has too. Don’t they deserve better? Well, even if they don’t… Do it anyway. You’ll feel better about yourself. Remember, you’re creating this document to empower your spouse to take over in case you are take out of the picture. How is your spouse and family going to survive from an income standpoint? What will the sources of income be? Social Security? Pensions? Life insurance? Investments? Spell it out. I suggest you keep a physical folder that has your trust or will, any health care directives or other powers of attorney, and your last five year worth of tax returns. These include all sorts of clues about your finances, including 1099 forms from your various savings accounts and investments. Also include copies of passports, birth certificates, real estate documents, vehicle registration, etc. 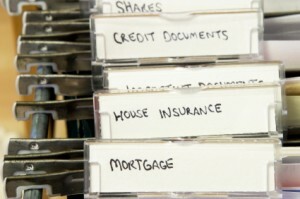 If you own a small business, keep the documents for your business in that same folder. If you want bonus points (and you should), scan all these documents and put them on a flash drive for your spouse as well as keeping them on your computer password protected of course. Here again, if you’re concerned about security, you can encrypt them – just be sure you spouse (and anyone else important) knows how to access this information. As an extra level of precaution, tell your CPA, attorney, or financial advisor the location of all these documents on the computer and the password to access them. If and when an emergency comes up, your spouse may be so distracted that they’ll forget everything despite your best efforts. Of course, the most important tip I can provide is to talk to your spouse. Tell him or her what to do just in case. Answer all of their questions. Be sure they’re aware of everything, including the details of your life insurance policies. Talk to them about investing too. Make sure they know what your small business is worth, how your investments are structures, and so forth. I’ve done this with my wife. I’ve gone through all these steps. At first, I thought she’d be reluctant to discuss these morbid issues, but I found she really appreciated my efforts. This holiday season, can you think of a better gift to give your family than this kind of peace of mind? tube supply a great deal of opportunities for this. Mint needs your password so they can interface in and download your activity for their tool. Quicken requires you to download your bank file and import up which is the way to go. Other tools are out there that are similar to Quicken. I use Bank2Budget.com tool and find it helpful and intriguing. Intriguing in that I am using it to record various personal data like Medicine names and/or if I had adverse reactions to them. Being able to recall/recapture this data has helped me recently. Thanks for the info I had never heard of a security problem with Mint. As far as I have read/seen they are as secure as logging onto your own bank account online (which many people feel is not safe either). I guess it can happen anywhere! I just wanted to post that I was going through some old stuff and found a really great lost wallet checklist from the FDIC. While some of the info is surely old, the ideas are still the same. I have this same checklist in a pdf document too which I plan to print and fill out on Friday. My friend had a breech in his bank account that tied back to a former employee at Mint! He explained that for Mint you have to provide your user name and bank password for the interface. I have been taught never to give out this information. Jerry – to get a picture of your spending and a starting point for your budget try mint.com – it is totally free and automatic. That has given me the data I need to get a picture of what it actually happening with my spending. A warning though – you DO have to edit the categories a bit. Sometimes the automatic label applied by the bank is not at all the right category. Thanks for the encryption link Nickel, I will definitely look into pursuing that for these type of files. Given that I live in a high population area I would say I am very vulnerable to both actual and identity theft if left unsecured. That’s a great tip Nickel. I am going to look into it. Having said that, I’ll be honest. I have a 100% chance of dying. Since I’m older than my wife, she has a very high chance of having to access this. Neither of us know when. The odds of someone stealing our stuff is low. Even if they get the passwords, it’s tough to actually do anything with insurance policies (term) or investment accounts. I may be naive but I’d rather protect myself against the high-risk than the low-risk. Password protecting a spreadsheet isn’t particularly secure. The data could still be extracted by someone who really wanted to see what’s inside. Something I’ve been toying around with is using a tool like TrueCrypt to encrypt an entire folder, and then just keep everything sensitive in there. Just be sure that people who might need it will have access to the password in a pinch. Note that this also works for encrypting stuff on a flash drive. This is an excellent list and resource. It is going to be incredibly daunting to some (who don’t know where their check book is half of the time!) but, of course, worth the effort. I bought a $500 full duplex document scanner. It scans all documents as searchable PDF files. The physical file are organized by person, company, then year. All the passwords for various accounts are stored in ai roboform. I paid for that one because it also offers safenotes so you can store stuff like Ssn and safe combinations. The files are all encrypted. I keep all paper documents like tax returns, deed to the house, car title, etc in a “fire proof” safe. Olivia……thanks too for your success story. This is so important yet people seem to adopt the “manana” attitude. I’m glad you guys are taking action. There is a feature in excel where you can password protect the spreadsheet. When anyone tries to open the file, it asks for the password. Without the password it won’t open at all. The key is to remember the password.. there is no such thing as password reset for this password, so make sure you remember the password to this one file and share it with your spouse. Very thorough article and quite helpful. My husband and I keep open communication about our finances and we know where the books are, but you suggested some things we haven’t considered. Thank you. Within several years she came to live with us and I started taking over her finances as she became less competant. She had never balanced her checkbook or kept a budget. But I did. In large part to keep my siblings in the loop, but also because Mom questioned my actions on occassion. We got her a will, power of attorney, living will, and set up her burial reserve account. I found programs she was eligible for and started preserving her social security money, by laddering CD’s. (She didn’t pay “rent”, only meds and food). She got into a good nursing home because she had the required lump sum. Now that she has nothing, she got onto Medicaid because I kept and organized her records for these last years. It would have been impossible to track down the extensive proof they require without the paperwork. I don’t know what would have happened had we kept Mom’s “system”. As a result of this experience, we have open communication with our kids. They don’t need to know the gory details but they do know where the things are they need. Their guardians are in the loop as well. I love this idea but how can you practically keep such a spreadsheet secure? I have a laptop and it that was ever stolen, well, there goes everything. Sure I could store it off-site in a google docs spreadsheet, but that is vulnerable to someone getting my google password. And the whole notion of securing a spreadsheet that you then share the access information to get to it, well I agree you have to give it to someone you trust, but what if you are not sure who that should be? Or you get a divorce? I am truly asking, I just don’t see how this is safe to put all of your most secure access data in one place. Believe me, I would love to do it. I just don’t trust it.